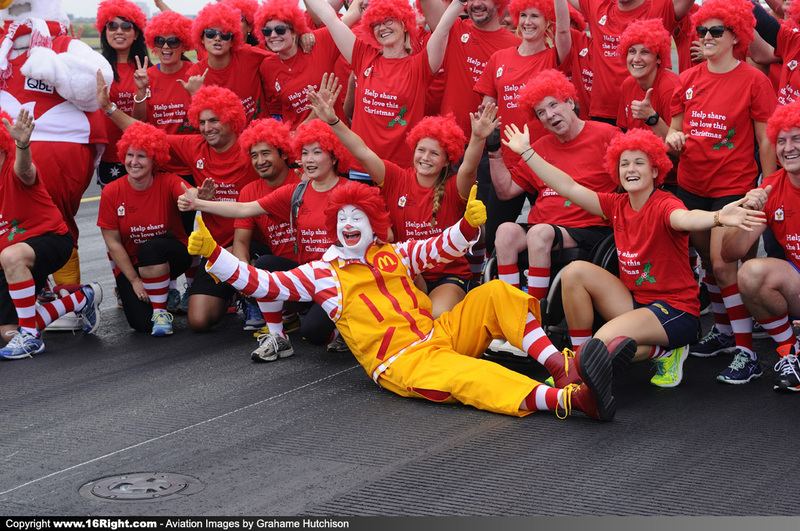 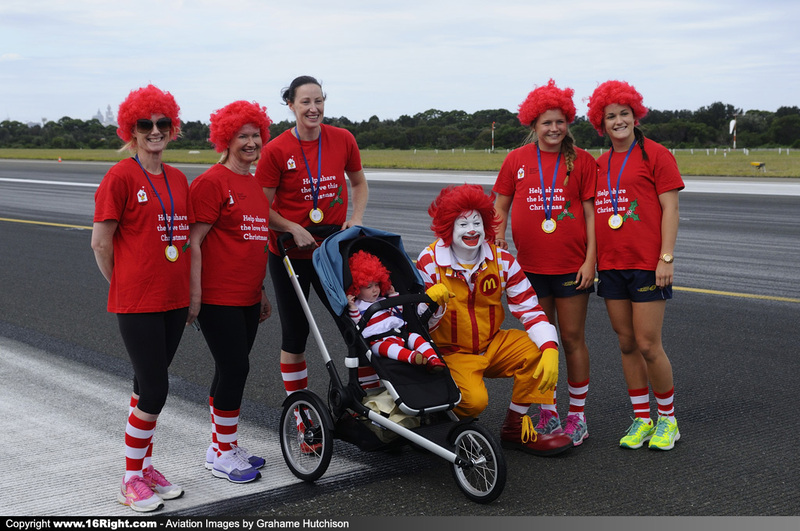 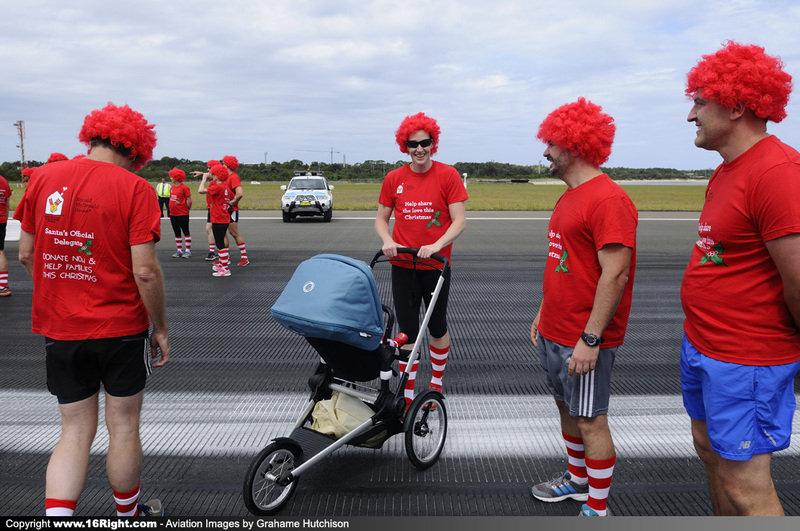 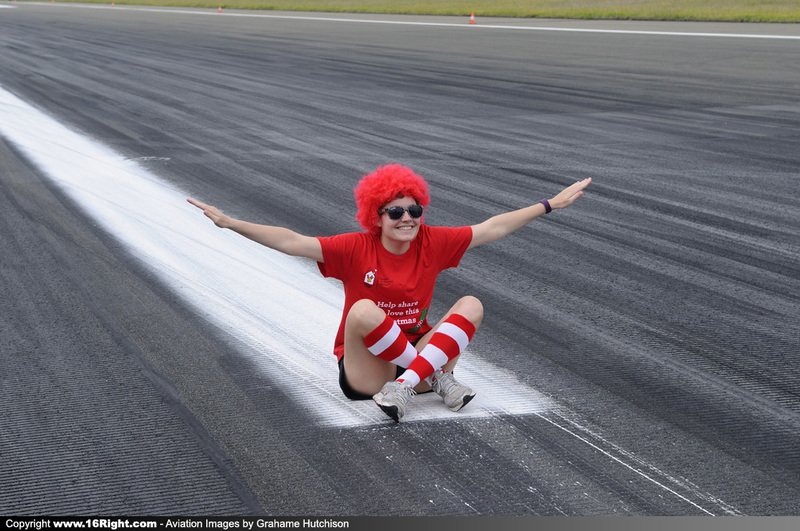 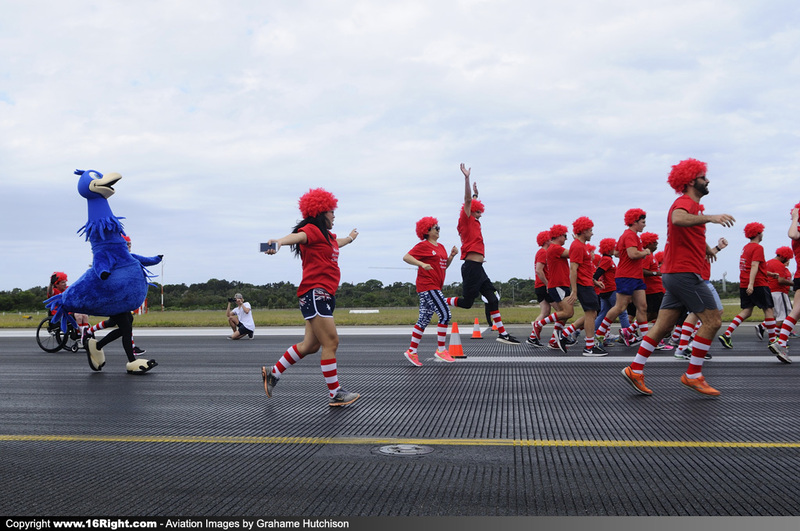 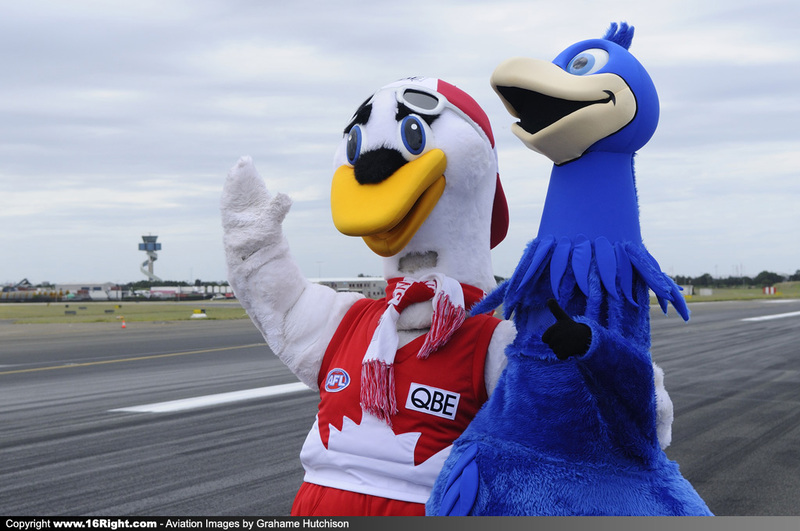 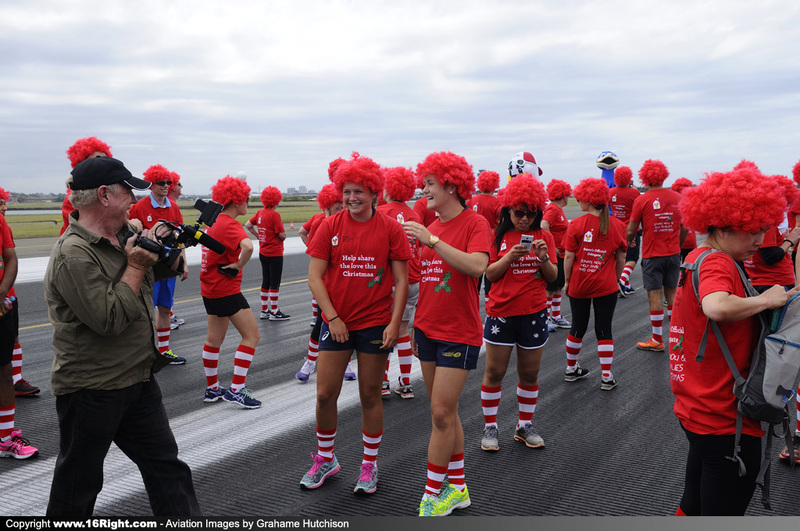 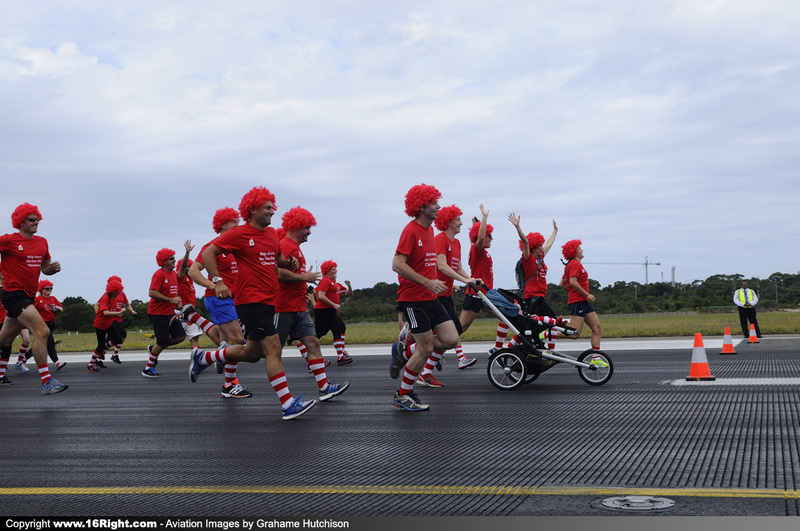 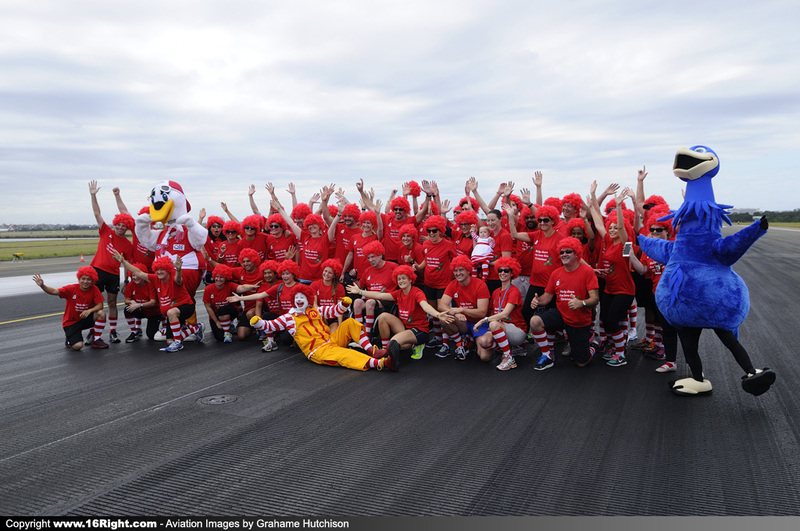 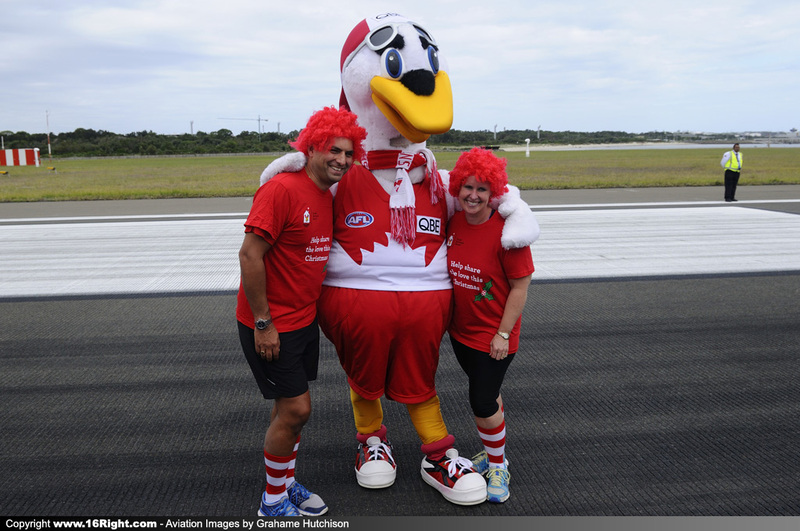 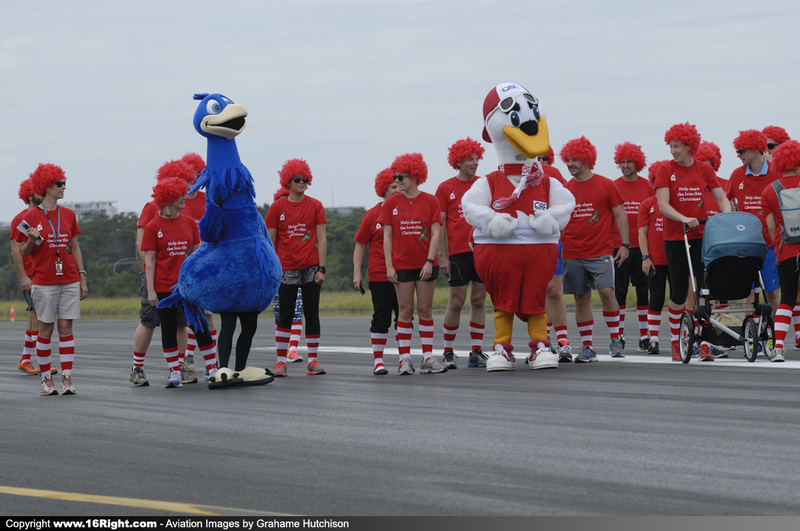 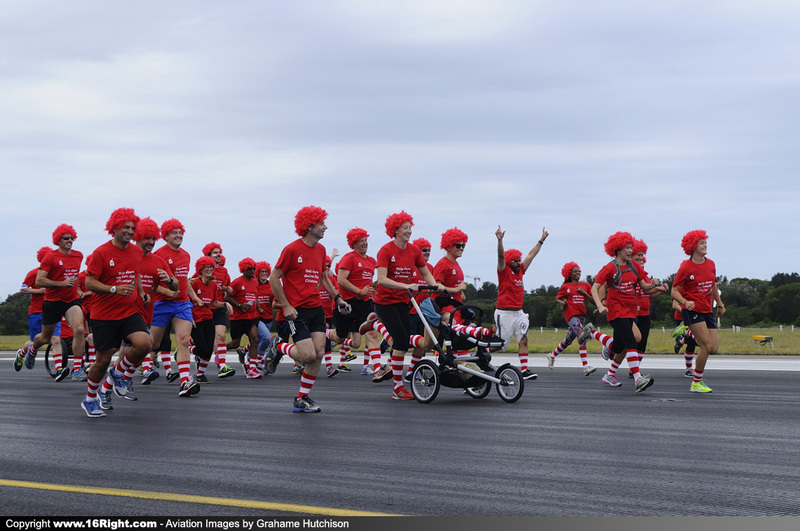 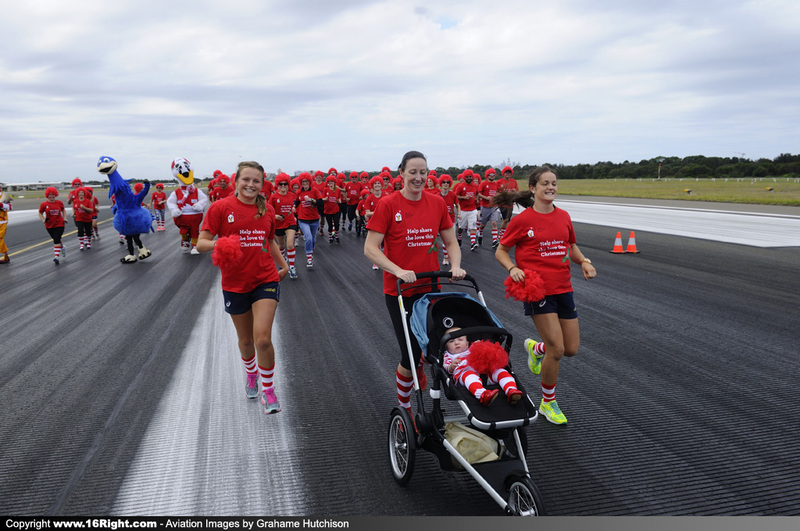 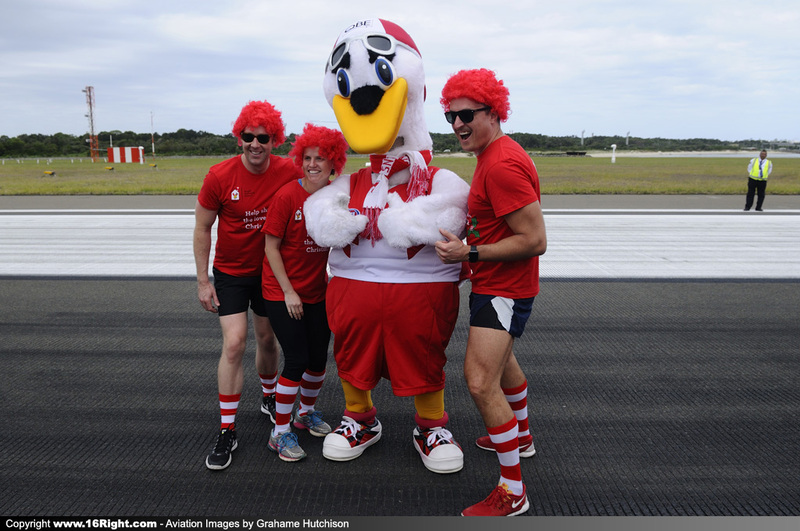 In a first for a major Australian airport, Sydney Airport today closed Runway 16L/34R between 3pm and 4pm for a Runway Run in support of Ronald Mc Donald House Charities. 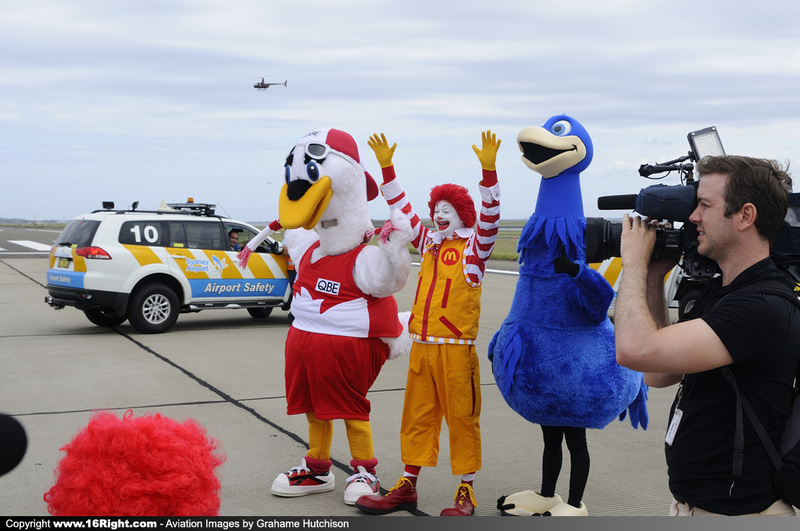 The Ronald Mc Donald House Charities volunteers and supporters, assembled in the Blue Emu Car Park, before boarding buses and heading out to the runway. 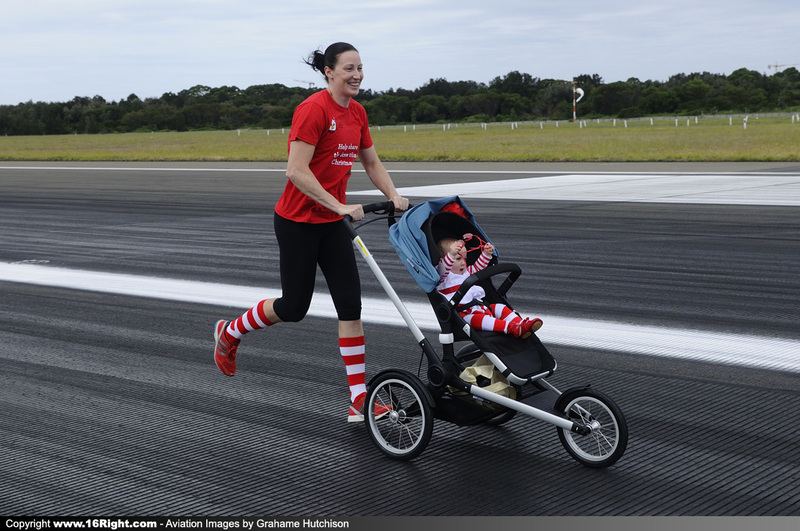 Competition would be strong today, as special guest runner, two times World Champion, and four times Commonwealth Champion, Jana Pittman, would be competing. 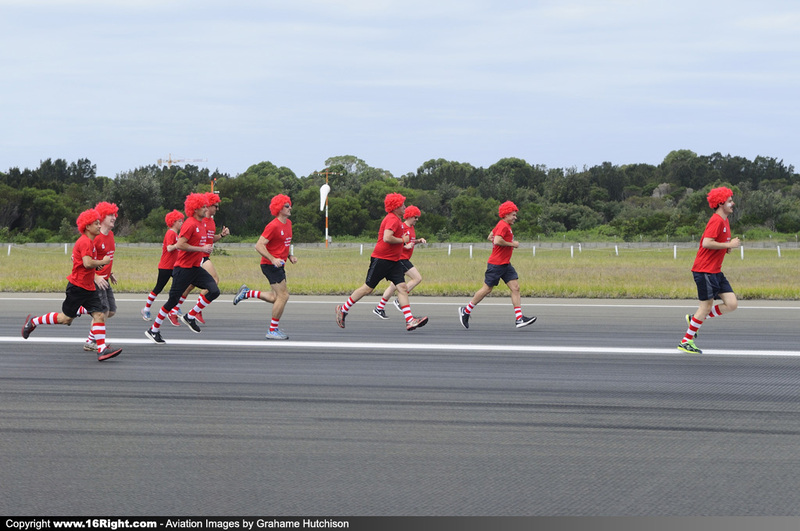 From the Blue Emu Car Park, the buses headed out onto General Holmes Drive, and then into Foreshore Road, before going airside at the ARFF Fire Station East. 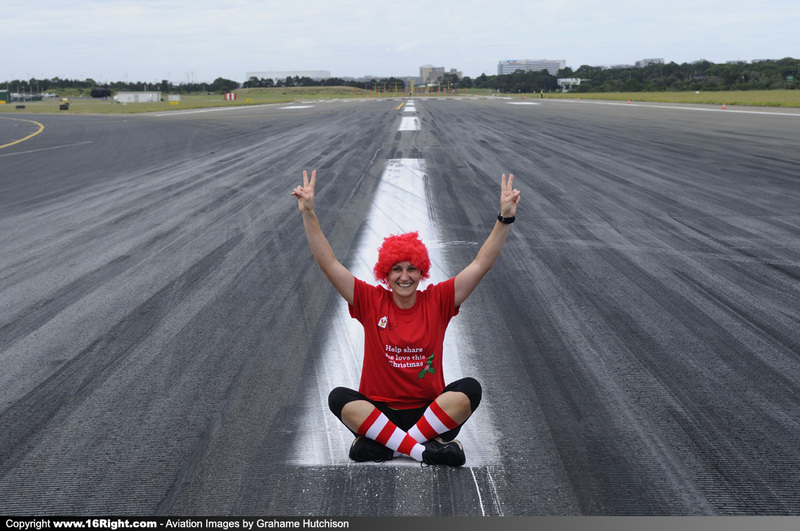 A Security Exclusion Zone had been put in place across Taxiways Bravo 10 and Lima, and then out onto Runway 16L for its entire length. 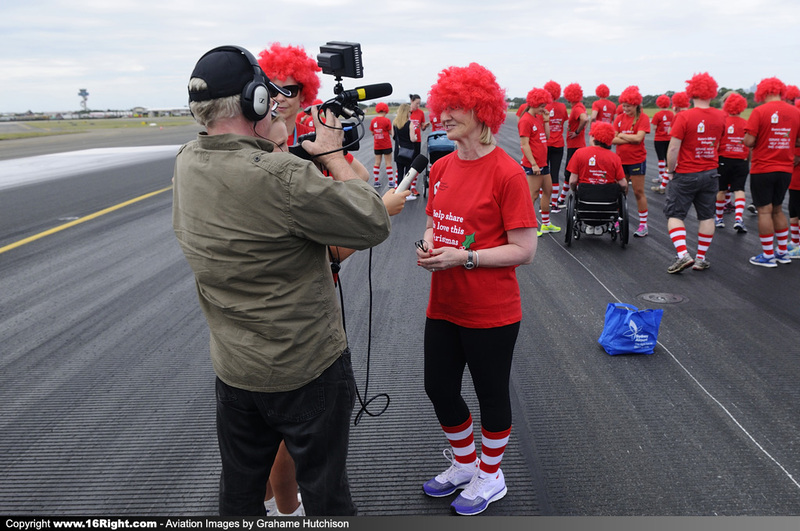 The runners were dropped off at the 16L Threshold for the start of the 500 metre sprint down the runway. 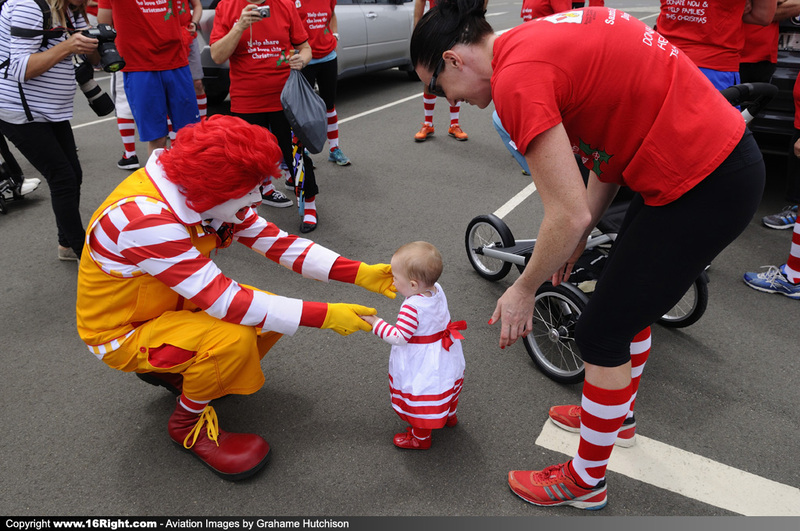 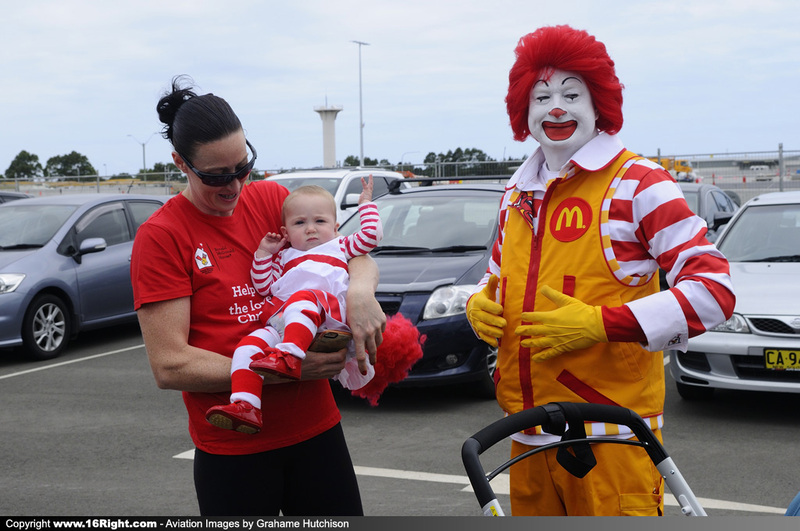 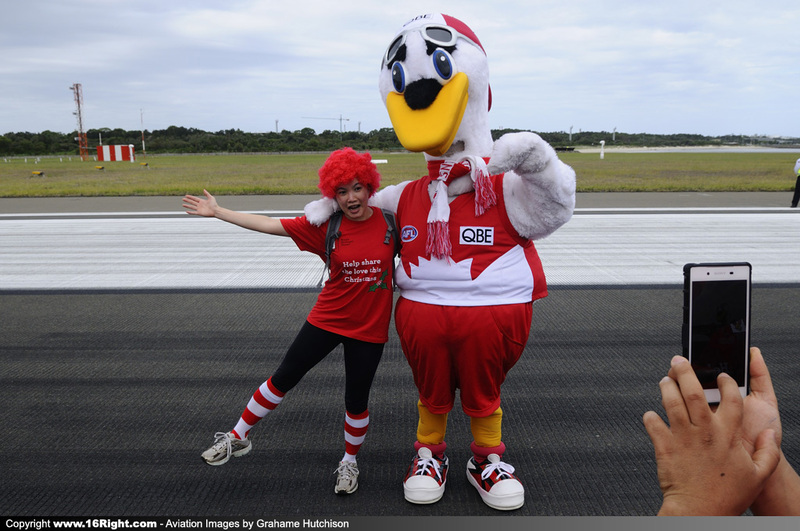 Jana Pittman and her daughter Emily led the pack all the way to the finish, where there was time for some fun photographs with Ronald McDonald, and the mascots from the Blue Emu Car Park and Sydney Swans. 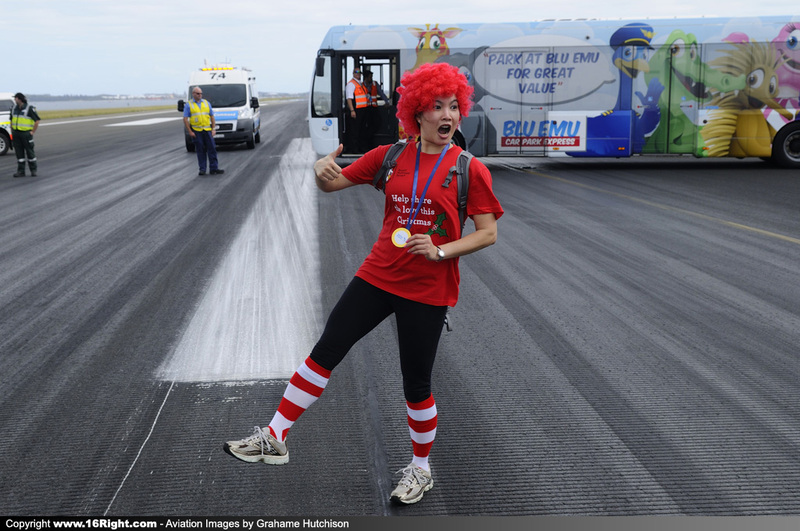 After the event was over, the buses were given a water cannon salute by an ARFF Tender as we passed the Fire Station. 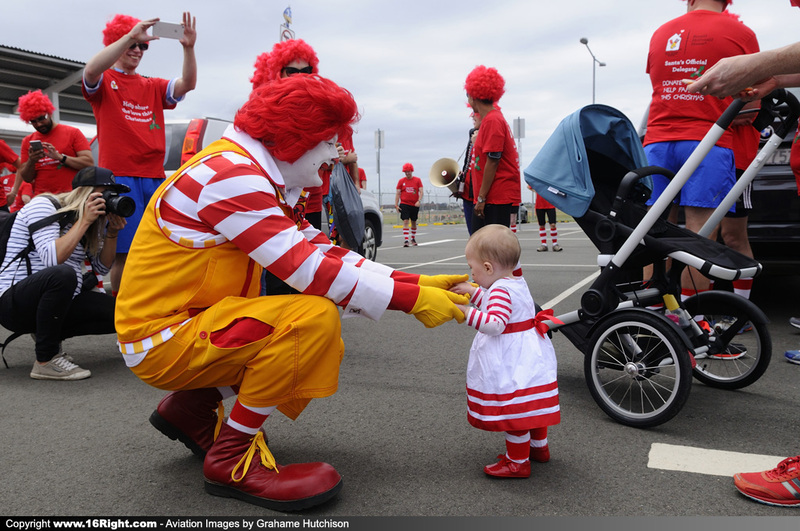 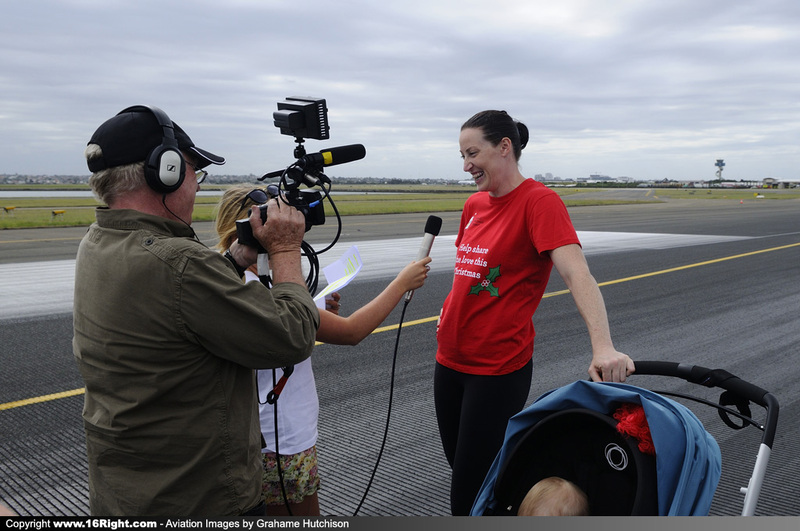 Sydney Airport is holding a number of events in the leadup to Christmas in support of Ronald McDonald House Charities, including a "Giving Tree" in Terminal 1 and a VIP Lunch in the Hawker Pacific Hangar. 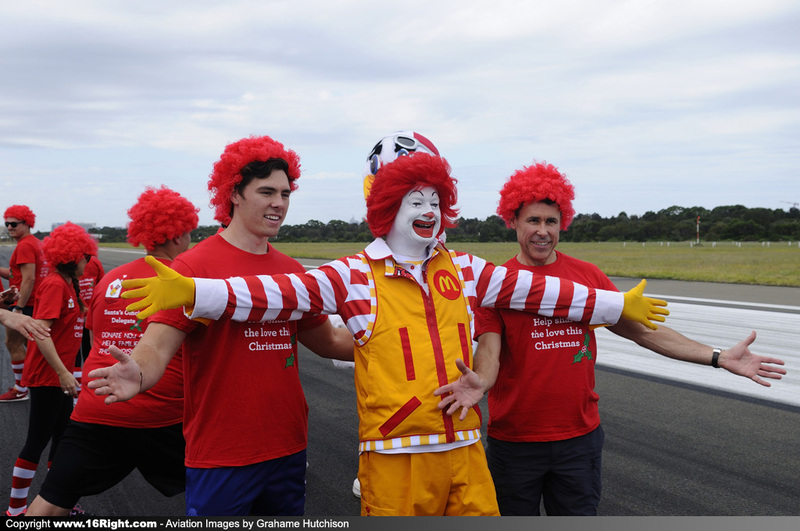 The Sydney Airport Corporation also donated $10,000 to kick off the appeal. 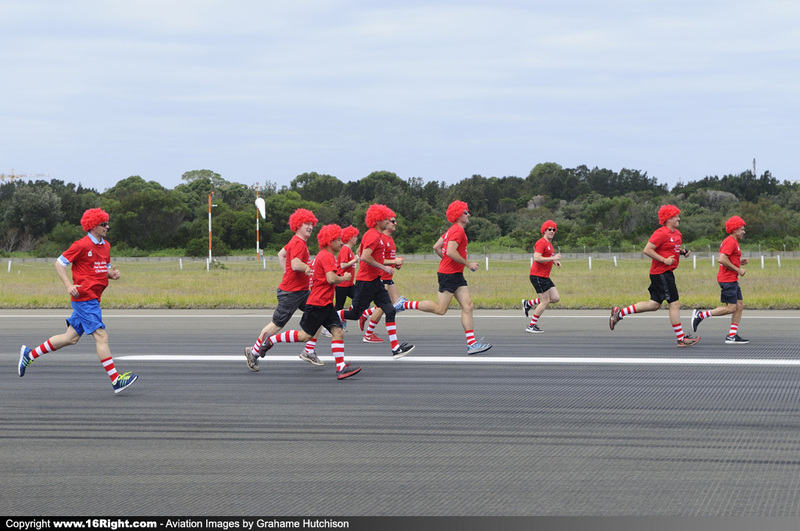 Get Ready, Get Set, GO !